Portlock, Alaska was a peaceful and picturesque fish town located at the southern tip of Alaska’s Kenia Peninsula. Portlock was named such to honor Captain Nathaniel Portlock of the Royal Navy who visited the area in 1786. By 1921, Portlock, sometimes referred to Port Chatham (Anon. 2014) had a cannery and a population center that was now big enough and busy enough that even the US Post Office took notice and opened a branch office there. In 1931, the peaceful and picturesque Portlock would experience horror. Local resident Andrew Kamluk was found dead. Kamluk had been logging when “…someone or something” crushed his skull “with a piece of log moving equipment” allegedly killing him instantly (Klouda, 2009). Kamluk’s murderer was never found. His death was attributed to the Nantiinaq. The Nantiinaq is described as big, hairy and manlike. Then something happened a decade later. Locals began to find man-like tracks they attributed to the Nantiinaq. The tracks were over 18 inches in length. These tracks suggested the makers were hunting moose. These tracks would follow a moose trail and eventually show where a moose had been over taken. According to a feature article in April 15, 1973 issue of the Anchorage Daily News, the tracks indicated that “…the manlike animal (was) departing toward the high, fog –shrouded mountains with their deep valleys and hidden glaciers.” (Anchorage Daily News in Green, 1978). This behavior is not something unusual. I have several cases reported to me each year by hunters describing such tracks while hunting caribou as well as moose. Rumors began to flow from Portlock describing situations in which hunters were disappearing. Some hunters were never found or recovered, while others would have their torn and dismembered bodies later found in area lagoons. The conditions of the bodies were described in such a way that it was obvious a bear was not to blame. What sort of horrible beast could do such a thing? The Nantiinaq. According to Simeon Kvasnikoff (in Klouda, 2009) the Nantiinaq is also responsible for the disappearance of a miner. The miner went to his claim never to return and there were no traces of him ever discovered. The terror continued to devastate Portlock. Finally, in 1949, the terrified residents began to depart en masse. The Post Office was closed the following year. I have identified the Nantiinaq as a Marked Hominid / Boreal Sasquatch based upon the location of Portlock, Alaska and the physical description. Even though the source used for this article provided witness’ descriptions of the tracks discovered as being over 18 inches in length, and thus outside of regular Marked Hominid range, Portlock is still located within the boreal biome. Incidentally, Portlock remains abandoned, however, a fishing lodge still operates in the area (Anon, 2014). Sightings of Boreal Sasquatch and Marked Hominids in this remote area of the Kenia Peninsula still slowly make their way to Sasquatch Tracker. Anon. 2014. Ghost Towns and Lost Cities: Alaska. 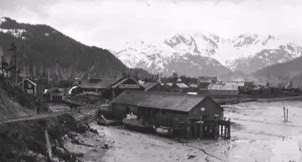 Online: http://inwanderlust.weebly.com/blog/ghost-towns-and-forgotten-cities-alaska (Accessed: 11FEB2016). Green, J. 1978. Sasquatch: The Apes Among Us. Republished by Hancock House Publishers, 2006. Blaine, WA. Klouda, N. 2009. Port Chatham Left To Sprits, Nantiinaq’ Sightings and Spirits led to Desertion of Alaska Village in Homer Tribune. Online: http://homertribune.com/2009/10/port-chatham-left-to-spirits/ (Accessed: 11FEB2016). This entry was posted in 2016, Historical, Uncategorized and tagged Boreal Sasquatch, Historical. Bookmark the permalink. 5 Responses to More Historical Bad Boys: Nantiinaq Kills Logger, Gold Miner, Mutilated Hunters’ Bodies Found. Interesting article but I have a question.Quote from the article: “descriptions of the tracks discovered as being over 18 inches in length, and thus outside of regular Marked Hominid range”. I’m curious as to why 18″ would be considered outside the regular range since this would not be unusual elsewhere throughout North America. Thanks. Thanks for your question… A Marked Hominid, or Boreal Sasquatch is a specific type of Sasquatch found in the Boreal biome world wide. Loren Coleman and Patrick Huyghe describe a Marked Hominid as being about 7 feet tall and a characteristic Marked Hominid track as 10 to 14.5 inches long and having a width of 3 to 5 inches. It is quite possible to find a track out of the range described of course, but I would have to attribute it to a TRUE GIANT or NEO-GIANT. Take a look at The Field Guide to Bigfoot, Yeti, and Other Mystery Primates Worldwide. I think you will find it quite interesting! Someday, I’m going to get over there and look around. 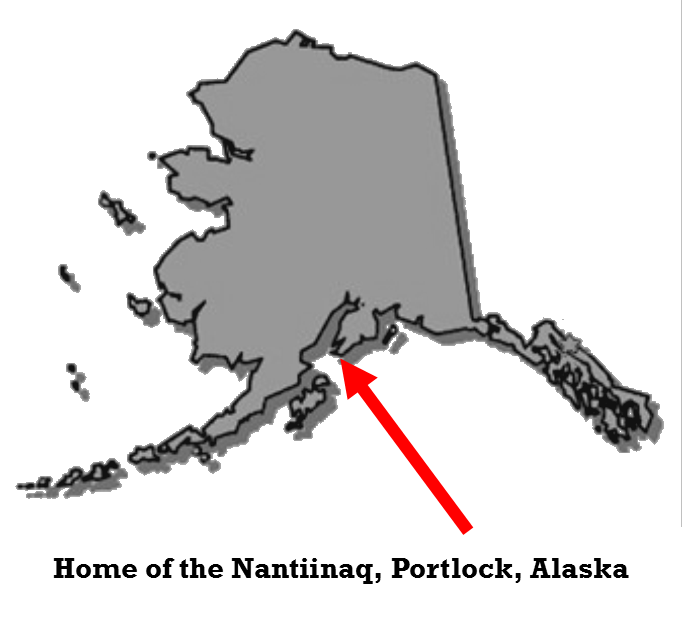 I’m very interested in any activity you hear about on the Kenai Peninsula. It seems pretty slow here.